One easy way to get involved with an Atlanta non-profit is to donate your unwanted clothes and household items to American Kidney Services. We are a qualified Atlanta non-profit 501 (c)(3) charitable organization that supports groups whose work aids those affected by kidney disease. Without leaving the comfort of your home, you can relieve some of the financial strain of people living with kidney disease. We make donating extremely convenient; we can pick your donations up from your home for free. To schedule a pick up, fill out the online form or call us. You can also donate items you no longer want by taking them to one of our hundreds of drop boxes in the Atlanta area. Sometimes, people who suffer from kidney disease struggle financially because of the high cost of dialysis, the medical process that performs the vital functions of the kidneys. Some patients reach a point when they have to decide whether to pay for their dialysis or their bills. That’s where organizations like our Atlanta non-profit come in; we collect items for donation, and the proceeds generated by those donations go toward organizations that provide financial relief to kidney disease patients. Your donations truly save lives. Your donations also save you a little money because they are tax-deductible. * Furthermore, donating to us can help save space in landfills. So you can help the environment one donation at a time by having your items reused or recycled through our non-profit organization. 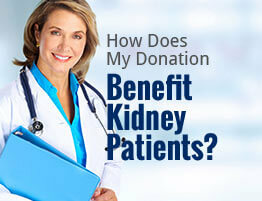 To learn more about donating your clothing and household items to American Kidney Services, contact us today. We are an Atlanta non-profit you can feel good about supporting. *To the fullest extent allowed by the law.